Samsung’s new Galaxy brand smartwatch, as you may have expected, goes hand-in-hand with the company’s line of Galaxy products. The Galaxy Watch breaks the mould. After years of using Samsung’s Gear line of wearables, for the first time I felt like the smartwatch was a necessary part of my day-to-day. 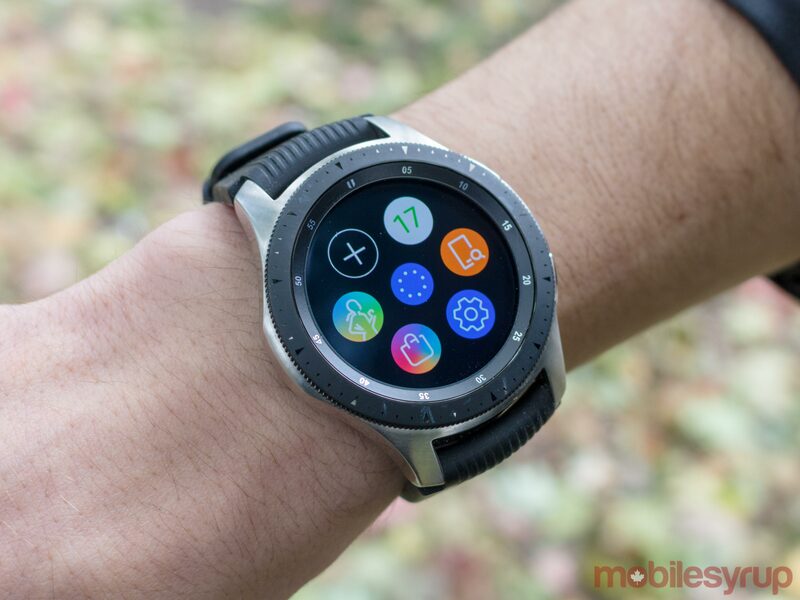 Samsung’s Galaxy Watch is the true successor to the Gear S3 and combines style with practicality and utility, even more so than 2017’s Gear Sport. I tested out the silver 46mm Galaxy Watch, and it’s just as oversized as Samsung’s Gear S3 Frontier. I chose to review this variant because it features a larger battery than the 42mm model. That said, if you don’t care about a bigger battery, the 42mm Galaxy Watch is the way to go. In the five minutes I spent with the smaller smartwatch, I felt like it belonged on my wrist. When putting on the 46mm variant, the first thing you become aware of is that the device is quite hefty. The smartwatch weighs a whopping 63g (0.138lbs), which is 15g (0.033lbs) heavier than the 44mm Apple Watch Series 4 and 14g (0.030lbs) heavier than the 42mm variant. Size-wise, the Galaxy Watch measures in at 49mm x 46.9mm x 13mm (1.93 x 1.81 x 0.51in), making it the second largest smartwatch Samsung has ever offered, with the biggest being the Galaxy Gear from 2013. By comparison, Apple’s 44mm Watch Series 4 measures at 44mm x 38mm x 10.7mm (1.73 x 1.50 x 0.42-inches), making Apple’s offering a slimmer option. The 42mm variant, on the other hand, weighs 49g (0.108lbs) and measures in at 45.7 x 41.9 x 12.7mm (1.80 x 1.65 x 0.5-inches), making it an almost perfect middle ground. Similar to the Frontier, I found it was annoying to type on my laptop with the watch on my wrist and would occasionally take off the wearable while working away because of its bulk. 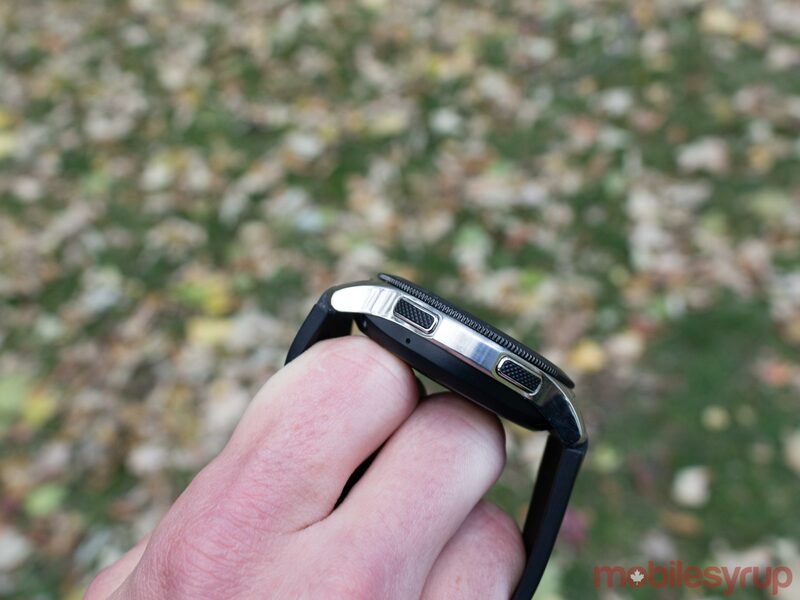 This is not an issue I experienced with the slimmer Galaxy Sport or the Gear S2. While the 46mm model was large and not as elegant as the 42mm variant, it’s still an attractive smartwatch. I never felt that people would look awkwardly when they saw me using it. Though if my wrist were any smaller that might have been the case. The 46mm Galaxy Watch also features a 1.3-inch Super AMOLED display with a 360 x 360-pixel resolution. The screen is vibrant and crisp with a 278 pixel per inch density. Additionally, the watch features Gorilla Glass DX+, Corning’s latest and best offering for smartwatches. The 46mm Galaxy Watch features a 472mAh battery. I got decent usage out of the battery. Typically, I’d get about three nights of power, and the battery would die at some point during the fourth day. I found if I added a couple of gym days where I took advantage of the watch’s fitness tracking functionality, the battery would need charging by the end of the third day. With the Galaxy Watch and its heart rate sensor, I was able to keep an eye on my heart rate throughout the day. I had the watch continually checking my heart rate with an update every ten minutes. When I was running my heart rate would go up, and when I was sitting down it displayed my resting heart rate, though I’m unsure how accurate it is. I found I got a different reading from the elliptical machines at my gym, with an average difference of about nine beats per minute. The Galaxy Watch also features automatic recognition like recent Fitbit trackers and the Apple Watch Series 4. These workouts include walking, running, using an elliptical, cycling, rowing and more. However, using an elliptical, I noticed it took a couple of minutes before the Galaxy Watch recognized I was exercising. Similarly, it took a few reps before the smartwatch recognized I was doing sit-ups. On the other hand, the device immediately detected when I start walking. Additionally, the watch recognized what felt like a random mixture of exercises. The wearable also monitored how I slept, a feature I found extremely accurate. It would always know, to the minute, when I fell asleep, as well as when I woke up. This, unfortunately, wasn’t a lot, according to the watch. While this process worked well, it would have been more useful if the watch also told me how much sleep I should be getting, but unfortunately, it doesn’t. In the U.S., the Galaxy Watch can also indicate how stressed you are, but that feature isn’t available in Canada. Finally, Samsung got rid of its S Voice assistant, replacing it with Bixby Voice. Bixby Voice can set alarms and answer questions, but unlike the Google Assistant, it doesn’t have contextual AI. Bixby Voice on the Galaxy Watch can only answer one question at a time. While many hoped that the Galaxy Watch would run Wear OS, it still uses the Tizen-based software. Tizen is a Linux-based operating system that Samsung developed. It’s used in nearly all of the company’s smartwatches, as well as its fitness devices, TVs and smart appliances. Though the Tizen OS doesn’t feature as many apps and looks very different compared to Wear OS and watchOS, it’s still quite capable. I thought Samsung’s Galaxy Watch was overall an attractive device. 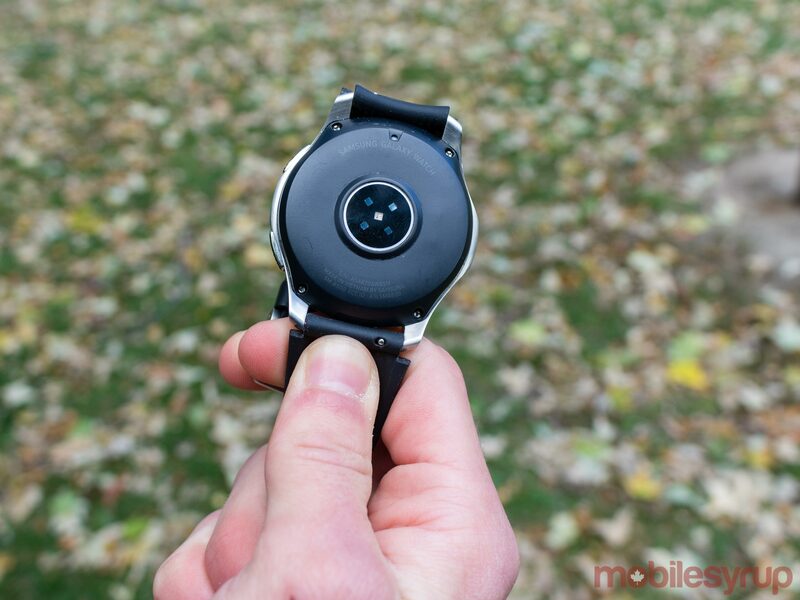 While the watch is a bit bulky, its lengthy battery life made it worth it. 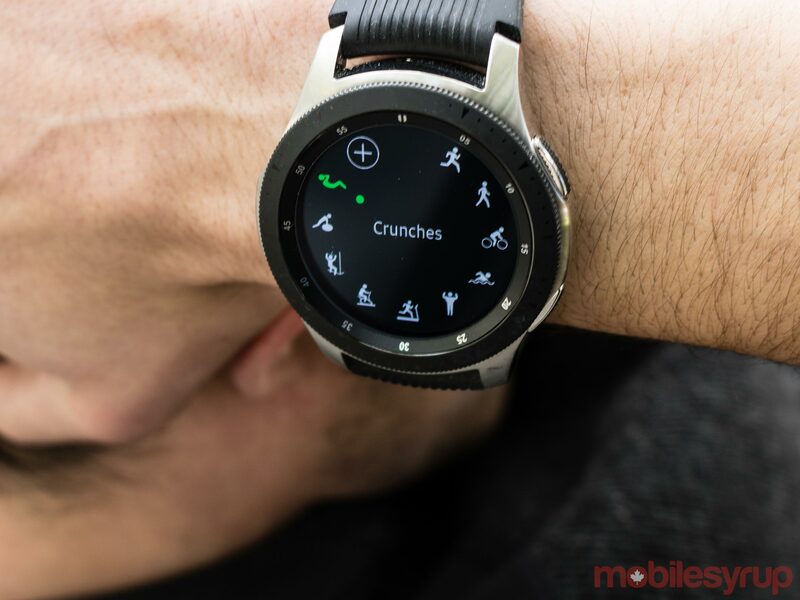 The Galaxy Watch brings usability more than ever before with pre-loaded exercises, an improved heart rate monitor and a sleep tracker that I found more accurate than previous Gear wearables. In comparison to the previous Gear watches, the Galaxy Watch felt like it offered a more well-rounded experience. Also being the first of Samsung’s wearables to feature Bixby Voice, makes this smartwatch more capable when compared to the company’s other devices, though the voice-activated assistant isn’t particularly great. In Canada, the 42mm smartwatch with Bluetooth retails at $419.99. Meanwhile, the 46mm variant costs $459.99. 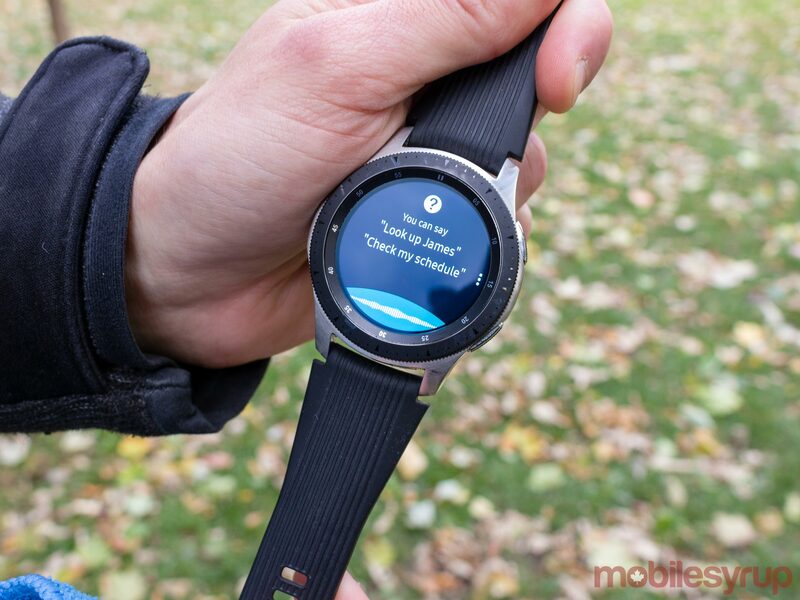 It's hard to say whether the smartwatch is overpriced or not. Samsung's biggest competitor in the smartwatch market, Apple, has priced its Watch Series 4 at $519. Meanwhile, Fitbit's Ionic when first released retailed at $399.95 and Fitbit's 2018 Versa retails $249.95. And even though LG's Watch W7 isn't coming to Canada officially, the watch retails $450 in the U.S. which is equivalent to $596 CAD. 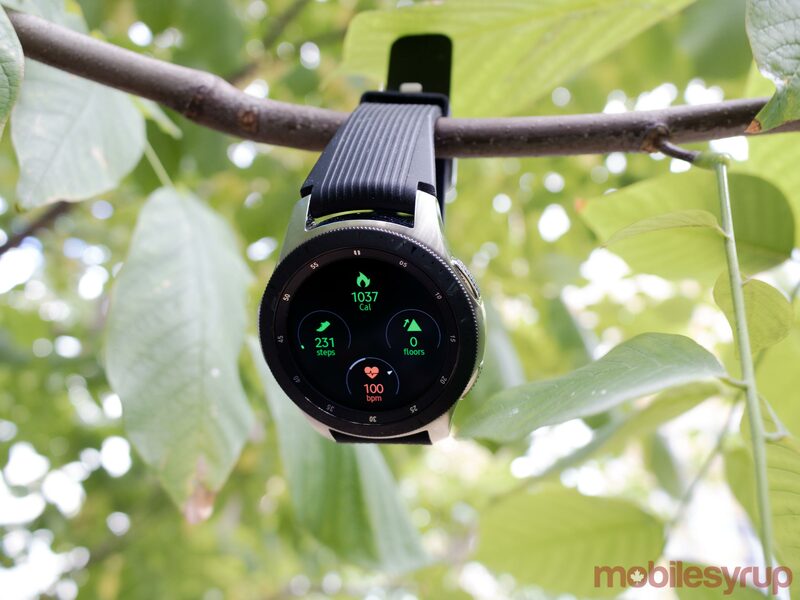 The Galaxy Watch is a fun and very usable smartwatch and is definitely helpful for those who like to track their fitness. 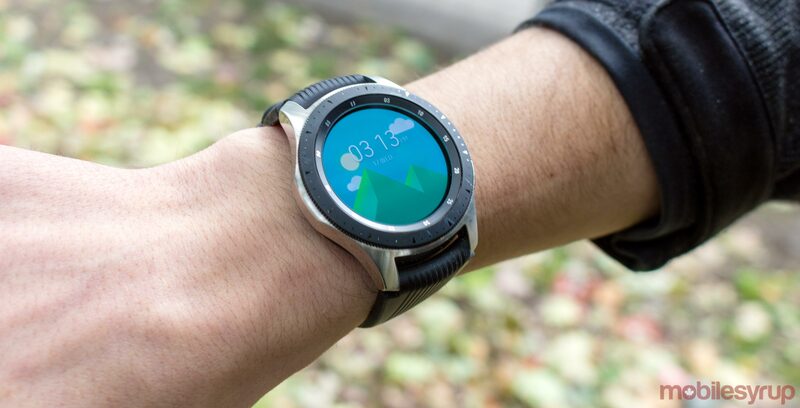 "The Galaxy Watch is a fun and very usable smartwatch and is definitely helpful for those who like to track their fitness"